A phase 3 trial examining niraparib as a maintenance drug for platinum-responsive advanced SCLC is being initiated in China. Niraparib, a PARP-1/2 inhibitor, is effective in patients with BRCA-mutated ovarian cancer, as well as in patients with non-BRCA-mutated ovarian cancer who respond to platinum-based chemotherapy. SCLC cells demonstrate high levels of PARP-1 expression and are sensitive to platinum-based chemotherapy, suggesting that targeting the DNA-repair pathway may be an effective approach. The aim of the study is to evaluate niraparib maintenance therapy in ED-SCLC. The randomized, double-blind, phase 3 ZL-2306-005 trial will enroll approximately 590 patients with ED- SCLC who demonstrate a response to platinum-based chemotherapy. 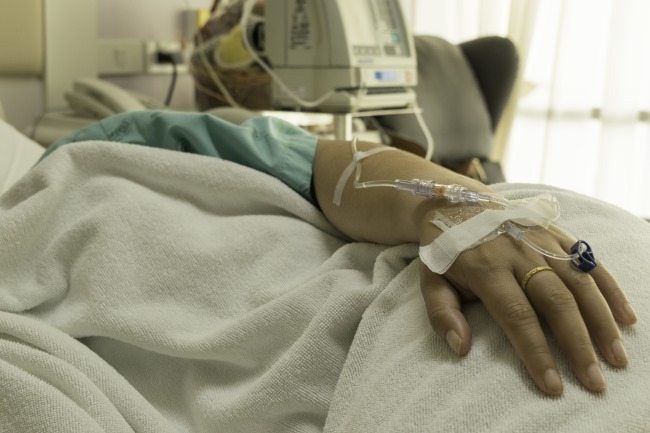 To be eligible for the trial, patients need to have achieved a complete or partial response to a prior platinum-based chemotherapy regimen (with the requirement to complete 4 cycles of etoposide plus cisplatin or carboplatin). Patients will be randomly assigned 2:1 to receive niraparib or placebo as in the maintenance setting. Niraparib will be dosed at 300 mg once daily for patients with a baseline body weight of at least 77 kg or a baseline platelet count of at least 150,000/μL; patients with a lower baseline body weight or platelet count will be administered 200 mg once daily. Patients will continue maintenance therapy until disease progression or intolerable toxicity. Stratification parameters include gender, lactase dehydrogenase levels, and prophylactic cranial irradiation. The coprimary end points of the trial are progression-free survival (PFS) as assessed by independent, central radiologic review and overall survival. The secondary end points include investigator-assessed PFS, safety, tolerability, and quality of life. Lu S, Jiang L, Ai X, et al. A PH3 study of niraparib as maintenance therapy in 1L platinum responsive extensive disease small cell lung cancer patients. Presented at: International Association for the Study of Lung Cancer 19th World Conference on Lung Cancer; September 23-26, 2018; Toronto, Canada. Abstract JCSE01.10.